The sequel to the New York Times bestselling and #1 IndieNext Pick Caraval, following Scarlett’s younger sister, Tella, on a journey to the empire’s capital to fulfill a dangerous bargain. 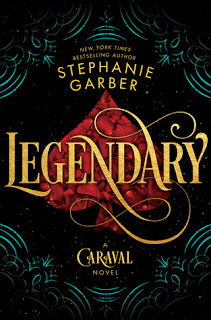 Stephanie Garber’s limitless imagination takes flight once more in the colorful, mesmerizing, and immersive sequel to her New York Times bestselling debut novel Caraval. This year’s Caraval has concluded. Tella is alive—and safe, to her older sister’s relief. But Tella has secrets she has been keeping from Scarlett. Secrets like what Tella promised in exchange for the sisters’ invitations to Caraval in the first place. Secrets about the person to whom these promises were made. And secrets about Julian, the Caraval player who won Scarlett’s heart. Afraid of revealing the truth to the person who loves her most, Tella runs away to Valenda, the capital of the Empire, to find the mysterious correspondent whom Tella owes. But in the nights leading up to Elantine’s Day, a cross between a masquerade ball, a jubilee, and Caraval, no one is to be trusted . . . 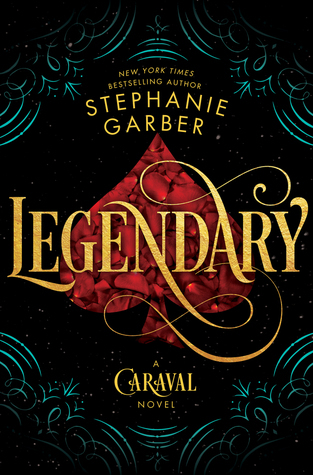 I loved Caraval and I can't wait to read this book. It's a companion sequel which makes me a little sad because I adored Julian and Scarlett, but I'm excited to read Tella's story! I have no doubt it will be amazing. Yaasss!! Cannot wait to read this one!!! I loved reading Caraval and I can't wait for the sequel to come out! Great pick! Nice pick! I personally don't plan on reading this series, but I hope you love it!! YEEEEES! I'm so excited for this one! I loved the first book and am really hoping this one expands the world and gives us a better sense of the magic system! The first book didn't really work for me, so I don't think I'll be continuing the series. But I hope you enjoy this one! I didn't love Caraval, but I liked Tella, so I'm excited for her story! Great pick! I have been dying to read Caraval, I hope you enjoy the sequel. I need to start this series! I hope you enjoy!